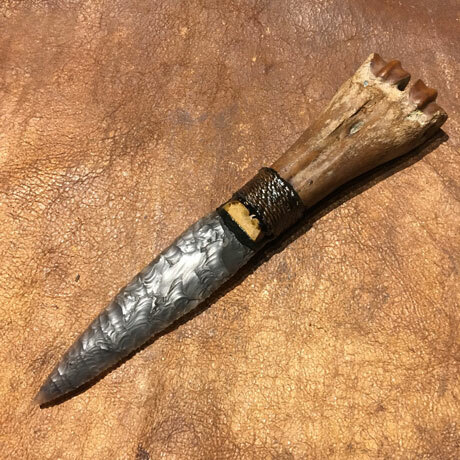 Will Lord spent many years perfecting the art of flint knapping and is expert at producing stone tools such as hand axes & arrowheads. Will is an experienced bowyer, making both Medieval longbows & primitive bow & arrow designs, based on archaeological evidence. Covering the entire spectrum of skills needed to survive any time before the end of the Bronze Age. Will is an expert in all aspects of primitive survival techniques including prehistoric cooking, preparing & using animal hides, butchery, cordage and shelters. Imagine the amazing experience for a child, literally feeling they have just travelled back thousands of years in time. Will Lord’s trained team make this possible with a magical array of props and stories that build up a complete picture of the Stone Age. Will Lord has also been hired as specialised instructor by many of the UK’s top Bushcraft companies, to bring his unique expertise to their range of courses. This work includes helping to prepare ‘Walking the Amazon’s‘ TV presenter Ed Stafford, for his TV series ‘Naked and Marooned‘ where Ed has to survive from a dead start situation, using only the materials within his environment.